can lead to burnout, stress, anxiety, and health problems. That’s where I was just a few years ago. At that point in my life I felt miserable, unhappy and had multiple health issues. After healing myself and enhancing my own wellbeing, I wanted to share my story and my road to a better life. 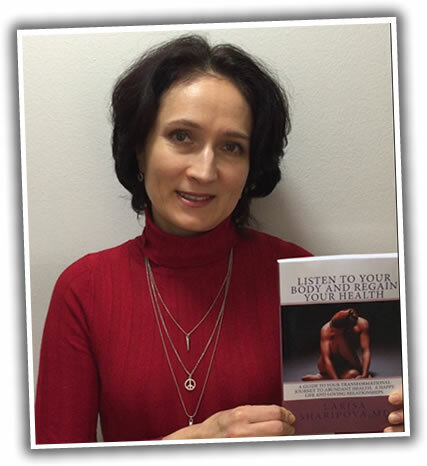 You will find my own transformational journey to better health and a happier life in this book. What internal and external factors play role in your health. What influence your thinking process. Why you choose to live your life the way you do. How to make better choices in your life. How to recognize your body real needs. How to reach your full potentials. How to find love, health and happiness. My purpose in writing this book is to change our world to a place full of love, health and happiness by transforming women’s lives. My mission is to reach one million women and give them the power to revolutionize themselves. I believe that feminine power can do anything. Women can empower women and make the world a better place.